Under Part Exchange, Bellway Homes obtains an average price for a client’s existing property based on two independent valuations, with the prospect of achieving a sale in four to six weeks. On top of that, the company will also give buyers £5,000 more than the agreed selling price of their property and cover the estate agent’s fee and any advertising costs. Fraser Conn, Sales and Marketing Director at Bellway Homes, says: “Part Exchange allows purchasers to buy and sell in one easy step. In essence, we buy a client’s property when they buy a new home with us, eliminating the worry for them of having to do this. It also provides them with considerable savings, as they don’t have to market their current home. Birchwood in Cowdenbeath offers an impressive collection of two and three-bedroom terraced homes, as well as three and four-bedroom detached villas and mid-terrace townhouses, priced from just £119,995. At Glastian Meadows in Kinglassie the development is a fast approaching sell-out, with the last few remaining three and four-bedroom detached properties priced from £129,995. In addition to the availability of PX, Bellway also has a choice of two further incentives at both developments – 5% Deposit Paid and MI New Home. Implemented by the house building industry in Scotland, MI New Home is a 95% mortgage that supports buyers with between a 5% and 10% deposit secure a new home on properties up to the value of £250,000. 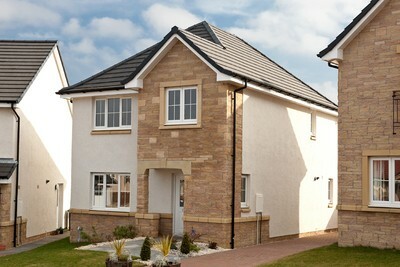 Close to the nearby towns of Dunfermline and Kirkcaldy, Birchwood benefits from a semi-rural setting. The layout of development has also been specially designed to provide local walkways into the adjoining countryside and is within easy reach of Lochore Meadows County Park. The area enjoys a number of local services, from primary and secondary schools to supermarkets and a wide-choice of local shops on Cowdenbeath’s busy high street, as well as easy access to Edinburgh via good road links. For residents at Glastian Meadows, Kinglassie also offers a wealth of amenities. This rural village has its own highly rated primary school, day nursery, post office, library, shops and local pub. The A92 passes just south of the village, while Junction 5 of the M90 is only a few miles to the west, making travel not just to Edinburgh accessible but Perth too – as does a regular rail service from nearby Glenrothes train station. For further information on Bellway Homes current Part Exchange offer, please contact the respective sales centre at both developments, open Friday to Monday from 9.30am to 5.30pm and late night on a Thursday from 11am to 7pm. For more information, visit bellway.co.uk.